FARM Program - Advancements in Allergy and Asthma Care, Ltd.
​Advancements in Allergy and Asthma Care, Ltd. (“AAAC”) offers our FARM ProgramSM (food allergy risk management) medical service, which is an established, high quality, and effective medical methodology of assessing and treating food allergies. The FARM ProgramSM medical service helps children and their families be more proactive with their food allergies. Specific emphasis is given to oral immunotherapy (OIT) treatment across several categories of food allergens, including peanuts, tree nuts, eggs, milk and wheat. The FARM ProgramSM medical service is carefully administered by medical professionals in a controlled environment, using once per week office visits that generally last between six to nine months. Upon completion of the controlled in-office visits, patients consume a planned maintenance dosage at home once daily on an ongoing basis with frequent consultation with medical professionals. Successful patients eventually build their tolerance to a level that allows them to consume the food in which they previously suffered from allergic reactions. It is recommended that patients do not exercise one hour prior to and two hours following each dose, regardless if taken in-clinic or at home. Additionally, given the risk factors involved with food allergies, patients should never attempt to self-administer dosages without consultation with AAAC’s medical professionals and compliance with the FARM ProgramSM services’ standards. ​Food allergies have been increasing in recent years. Recognition and management of food allergies are important to the prevention of potentially serious health consequences. According to the Centers for Disease Control and Prevention (“CDC”), food allergies among children have increased by approximately 50% between 1997 and 2011. Today, as many as 15 million people currently have a known food allergy (including 8% of young children). Therefore, recognition and management of food allergies in young children (e.g. infants) are important to the prevention of potentially serious health consequences. To complicate matters, consumers must also consider a variety factors when managing food allergies, including the preparation, cooking, packaging, labeling, dining away from home and travel. Our FARM ProgramSM addresses these matters and is supported by our protocol that is designed to gradually increase children’s tolerance so that they can safely eat foods that were manufactured in large production facilities, which could potentially contain cross-contaminants. In recent years, there has been progress for children with milk and egg allergies in that many can tolerate baked products, which increases the chance for eventual tolerance. Managing food allergies can be burdensome on families, however, our FARM ProgramSM helps you address this and promotes a more participatory and happy life for your child and family. There are now a number of allergy practices throughout the country that offer graded challenges to allergic foods to help them develop tolerance. AAAC’s FARM ProgramSM is administered by an experienced and tenured clinical team with oversight from our dual-Board certified physicians, Dr. Michael Wexler and Dr. Tara Federly. Our FARM protocols have been developed through consultation with Dr. Richard Wasserman of Dallas and Dr. James Baker of Portland, who are both recognized leaders in food allergies and OIT, and who we maintain a collaborative relationship. ​Dr. Michael Wexler’s allergy group offers an established, high quality and effective Food Allergy Risk Management (“FARM”) program to help children and their families be more proactive with their food allergies. 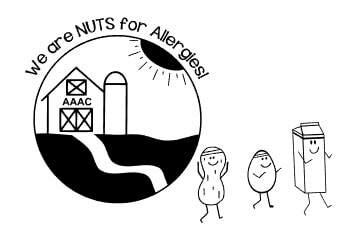 ​At Advancements in Allergy and Asthma Care, each FARM patient receives a tailored program that will allow the child to eat allergenic foods. Initially, the patient will safely tolerate trace amounts of such foods, while eventually building tolerance to a level that allows them to enjoy the food. ​The program is administered by controlled food challenges once per week in the office for a period typically lasting six to nine months. Upon completion of the controlled in-office visits, the patient will consume a planned maintenance dosage at home once daily on an ongoing basis. It is recommended that patients do not exercise one hour prior to and two hours following each dose, regardless if taken in-clinic or at home. ​Our FARM program addresses several categories of food allergens, including peanuts, tree nuts, eggs, milk and wheat. If interested, and to determine if your child is eligible to participate in our FARM program, please contact our clinic to schedule a FARM consultation at 952-546-6866. ​Should You Even Be Concerned About Food Allergies? ​Recognition and management of food allergies are important to the prevention of potentially serious health consequences. According to the Centers for Disease Control and Prevention (“CDC”), food allergies among children have increased by approximately 50% between 1997 and 2011. Today, as many as 15 million people currently have a known food allergy (including 8% of young children). Therefore, recognition and management of food allergies in young children (e.g. infants) are important to the prevention of potentially serious health consequences. ​Will Kids Simply Outgrow A Food Allergy? ​Childhood allergies related to milk, egg, wheat and soy are resolving more slowly than in previous decades, with many children still allergic beyond five years of age. Moreover, children with allergies related to peanuts, tree nuts, fish or shellfish typically last a lifetime. ​Consumers must also consider a variety factors when managing food allergies, including the preparation and cooking of food, packaging and labeling of food, dining away from home and travel. Managing food allergies can be burdensome on families, however, our FARM program helps you address this and promotes a more participatory and happy life for your child and family. There are only a limited number of allergy practices throughout the country that offer desensitization to allergic foods. Dr. Richard Wasserman, a physician at Allergy Partners of North Texas, and Dr. James Baker, of Baker Allergy, Asthma, Dermatology based in Portland, have been involved with this process for a number of years. Dr. Wexler has a strong relationship with both physicians and has consulted with each to develop and refine our FARM program. See Dr. Wasserman’s interview on NBC5 about this process. See Dr. Wasserman’s interview on NBC5 about this process. If interested and to schedule a FARM Program consultation, please call 952-546-6866.